Shackleton, Scott, James Cook, Charles Darwin. Take your pick from some of the most inspiring figures who've significantly shaped expedition history. Shackleton, Scott, James Cook, Charles Darwin – take your pick from some of the most inspiring figures who've significantly shaped expedition history. Their feats move people, and it is no surprise that those prepared to tackle challenging environments, like the Southern Ocean, continue to be rewarded by 'venturing in the footsteps' of their heroes and seeing Earth's last unspoiled wildernesses such as Antarctica. With continual growth in the luxury travel industry that’s now identifying with the phrase “Luxpeditions” it is also no surprise that there’s an increase of vessels furnishing popular eco-tourism sites. Space travel – albeit a voyage totally unrelated to sailing – might then seem the only way to do something that few have experienced, but Virgin Galactic is selling tickets for something that’s been experienced by fair numbers, taking people only just outside Earth’s atmosphere. In the midst of searching for the next true voyage of discovery, specialists, EYOS Expeditions have presented a potential last resort. In October 2018 EYOS Expeditions announced they will shortly begin the world's most ambitious nautical, private journey yet, and loaded with the world's first commercially licenced two-person Full-Ocean-Depth (FOD) submersible. The UK based expedition company has revealed its expertise is behind a five-ocean, deep-sea mission named ‘FIVE DEEPS’ that will include penetrating towards the Earth's core – a voyage to the most unexplored place on the planet. Humans know more about the moon than ocean trenches making this deep-sea journey an offer of a real encounter in extreme and mysterious depths. Enabling this unusual deep-sea exploration of the least discovered area of the planet will be a two-person submersible. Contribution as well as possession (of transforming experiences, the new ultra-rich version of a holiday) is very much in vogue. ‘LIMITING FACTOR’ will facilitate under-water navigation into five of the deepest ocean trenches on our planet. The world’s first commercially certified submersible capable of Full-Ocean-Depth (FOD) exploration will be deployed by the DSSV PRESSURE DROP an ex-US Navy ship. Rob McCallum, EYOS’ Co-Founder, explains that this ship has been specifically chosen for its quiet operational capabilities. Vital to the submersibles unlimited dives, each of which will amount to two humans going nearly 7 miles/11 kilometres below sea-level, is clear communication between the ship and sub. PRESSURE DROP, a 68-metre long vessel once used for towing listening arrays to detect Soviet-era submarines, was therefore chosen as the appropriate ship for the FIVE DEEPS expedition. The expeditions’ collaborators; EYOS Expeditions, investor and explorer Victor Vescovo of Caladan Oceanic, and Florida based Triton Submarines, have together devised their version of experiencing an out-of-this-world prospect in the deep-sea. Rather than look up they have merely turned to the last earthly paradise, 10,994 metres below sea-level in the search for discovery and only three people have ever been down there. "The discoveries made on this expedition promise a world of new scientific innovation in almost every area of biological, geological and oceanographic study,"
– Leader of EYOS’ FIVE DEEPS Science mission, Dr Alan Jamieson of Newcastle University. While this sounds somewhat similar to the 2012 Challenger Deep expedition, it is actually entirely different. Rob McCallum explains that FIVE DEEPS partners Triton Submarines, have approached the submersible design in a completely different way and according to the expeditions scope. 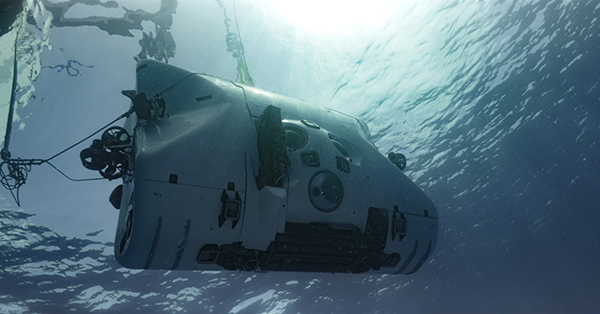 In contrast to Trieste and James Cameron’s 2012 Challenger Deep expeditions where the success of those missions was dependent on completing one dive, FIVE DEEPS has a specialist vehicle capable of multiple dives. DSV LIMITING FACTORS’ spec makes FIVE DEEPS a whole different fish. Infinite dives into a hostile environment allow for much more scientific research to be gathered, more than any other previous expedition. Listed on the FIVE DEEPS itinerary list is an example of the most unexplored and the deepest location on earth, Challenger Deep in the Mariana Trench. Located in the Western Pacific, the Challenger Deep is an aperture within the Mariana Trench and was last measured in 2010 by the United States Center for Coastal & Ocean Mapping at 10,994 metres below sea level. That's nearly seven miles down or into the Earth's core, depending on how you look at it. 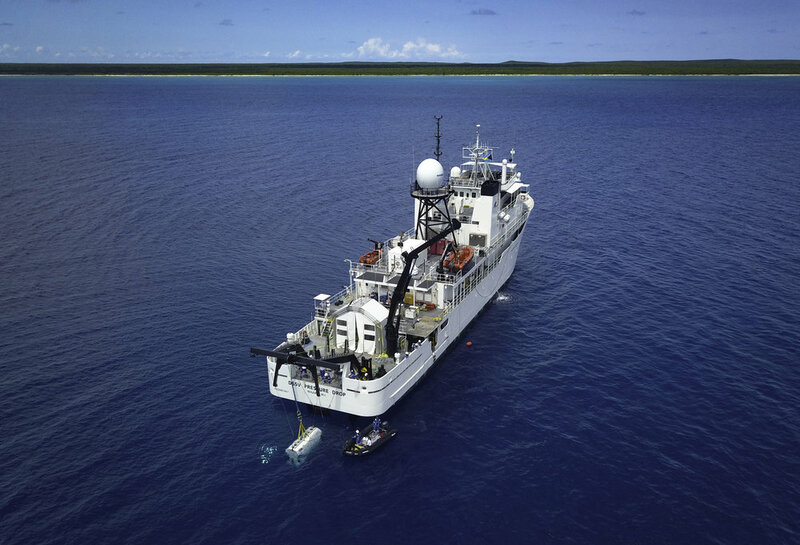 EYOS Expeditions and its collaborators have worked for three years on the planning of this expedition alongside oceanographers, submarine engineers, scientists and expedition experts. The oceanic journey will include visiting five ocean deeps; Puerto Rico Trench (Atlantic Ocean – 8,648), South Sandwich Trench (Southern Ocean – 8,428 metres), Java Trench (Indian Ocean – 7,725 metres), Malloy Deep (Arctic Ocean – 5,669 metres) and the mysterious Mariana Trench (Pacific Ocean – 10,994 metres). Only until recently most manned submersibles been designed to withstand pressure at depths down to 6,000 metres. Beyond these depths – particularly in the Hadal Zone, which is 6,000 to 11,000 metres below sea-level – just a few robotic and two manned vehicles have been available for research explorations inside these deep-sea trenches. The two manned vehicles spent only a few minutes at those very extreme depths. The magnitude this kind of private expedition, and voyage above and below sea-level presents – which is transformative experience alone – is undoubtedly beyond the concept of luxury expeditions. Deep-sea science is a whole new world, even to scientists, and with DSV LIMITING FACTOR aiming to complete more sequential dives and gather more data than any other submersible coupled with FIVE DEEPS covering five oceans; this cosmic expedition could well alter biographies. Who knows what the team will discover? Dubbed as 'the last frontier on Earth', the deepest ocean apertures on the planet are thought to hold answers to many scientific, biological and geological questions. The answers are fundamental to understanding how we humans, plan to manage living and non-living deep-sea resources. After launching DSV LIMITING FACTOR, an innovative first commercially certified submersible capable of reaching such depths that could well be an engineering feat alone, FIVE DEEPS is also holding science close to its mission. Dr Alan Jamieson of Newcastle University is set to lead the scientific research, he is also the man “who wrote THE book on the Hadal Zone” as Rob McCallum points out to me. Dr Jamieson expects that the world will reap the benefits in a range of scientific and geographic ways. "The discoveries made on this expedition promise a world of new scientific innovation in almost every area of biological, geological and oceanographic study,". While Dr Alan Jamieson leads the science department, the expedition will also be reliant on BAFTA and Emmy winning film production house Atlantic Productions to document the journey. In partnership with the Discovery Channel, Atlantic Productions will shed light on what lies (and what they might find exists) beneath. Timing is everything and as a 'deep-blue economy' emerges, together with the world’s latest and first commercial Full-Ocean-Depth submersible about to debut, one of the great things this expedition could illustrate, after its findings of course, is that contribution as well as possession (of transforming experiences, the new ultra-rich version of a holiday) is very much in vogue. By that I mean, that it is vital to encourage a new kind of eco-tourism; one that accepts the ultra-rich, their yachts, their thirst for exploration but that crucially fosters a trend in those individuals contributing to oceanology. Visit the FIVE DEEPS expedition website here.